As part of the 2015 Thinking through Drawing International Symposium, all UAL staff and students were invited to submit one drawing to We All Draw, an exhibition to showcase the scope, diversity and depth of drawing across our university. We are delighted with the response to the call and the breadth of the submissions, from across colleges, courses, departments, and including staff from college shops, as well as technicians. It was a very difficult selection process. Regretfully, some drawings were not selected due to our aim of showing as wide a range of drawing styles and functions as possible. Here is a selection of the works to be exhibited at Bargehouse, with artists/ statements below the drawings. My Practice explores how spatial environments can be identified through sonic and digital visual elements and how they embody the human element. My work endeavours to bring together everyday physical activities with poetic elements. 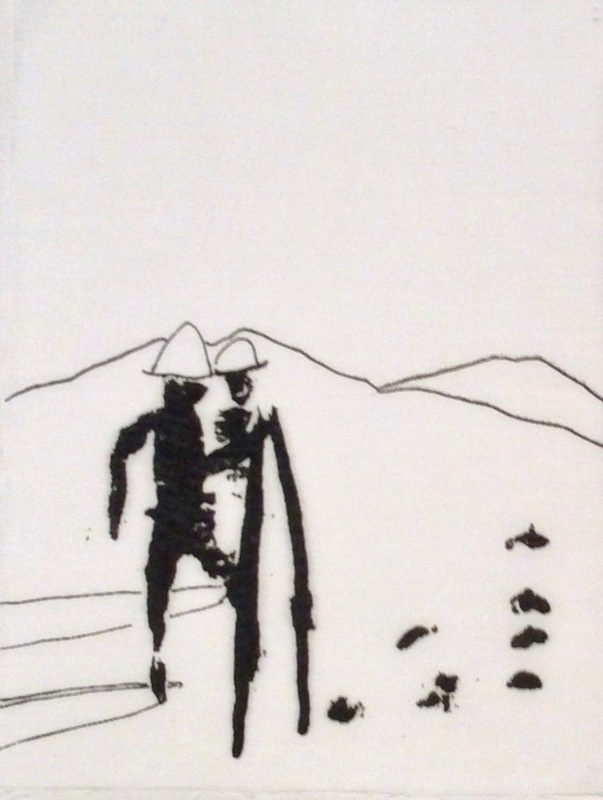 The drawing captures a fluid moment in time where the stillness of an everyday activity is connected with an ever-changing human energy, restoring harmony. In terms of eye colour, hair colour, nose shape, most of us back in Tokyo share jet-black hair, ink black eyes, yellowish skin, and a rather short and skinny stature. As if the world of colour was like a neat monochromatic photograph punctuated here and there with various hues. Colour is important. I was waiting for my flight at Singapore international airport at midnight, I suddenly realised that I was surrounded by subtle and varied hair colour. It reminded me of the many breed of dogs. 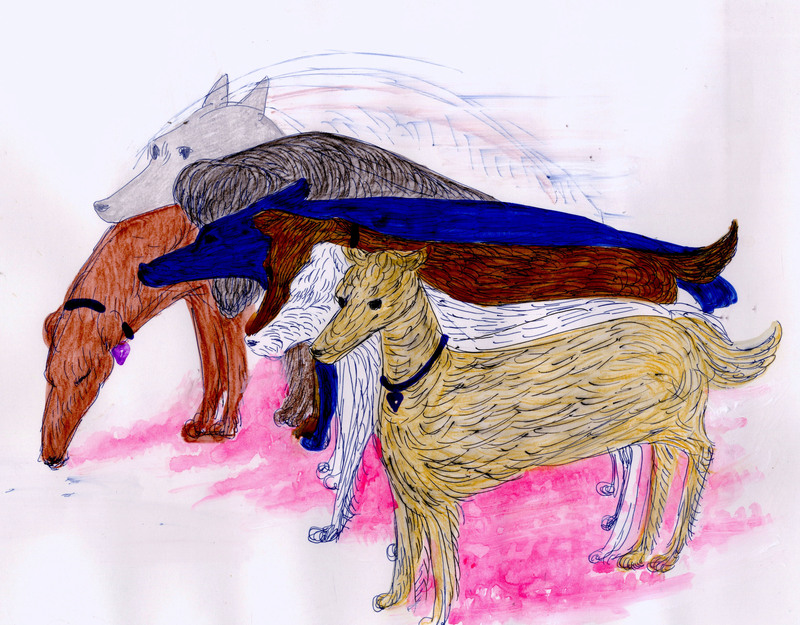 Dogs have so many hair colours and textures and subtleties within those colours. I wonder how many languages they use. This drawing is the consequence of my recent performances, investigates the relationship between the artist’s body and the art object. The drawing has 2 elements as the core. Planes to refer to minimalist’s object; the organic forms represent the human body and the artist’s body. The drawing is a combination of several drawings, each experiments the relation between one another. 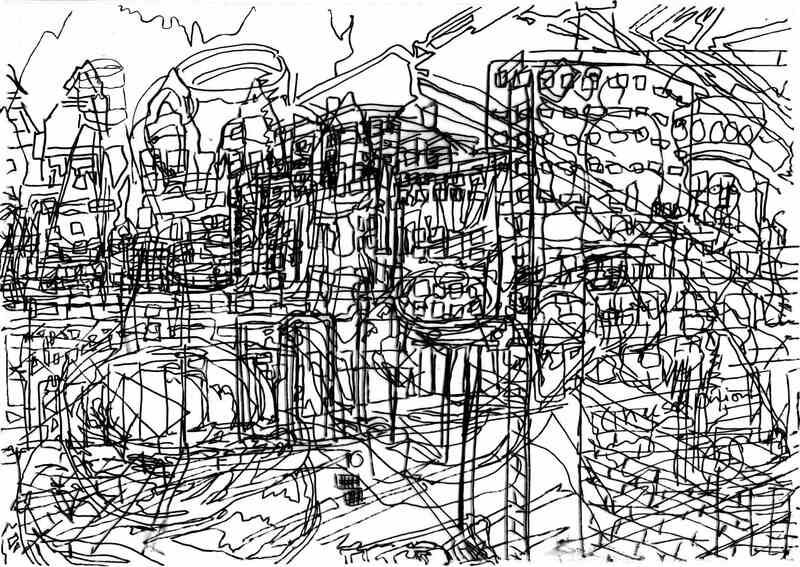 This is one of a number of working drawings exploring how we perceive our immediate surroundings. These drawings inform larger paintings at a later stage. This is a drawing produced for my final MA project. It depicts the sequence of assembly and production process as one drawing, following several components movements through different configurations of the pieces life. It is printed on construction paper and folded into a booklet to hint at flat-pack and self-build typologies. When I completed my PhD (2011) I began writing a film script. After many edits I realized I wanted my story to be a graphic novel. One of my teaching posts is at CSM in the animation department, I have always been fascinated in narrative (the seen the sensed and the dreamed), but I had no experience of the graphic novel process. So for the past four years I have been writing and drawing short stories, learning how to more clearly weave together text and image. Working in isolation can be liberating, it can also lead to loss of reflection, therefore; while searching for publication possibilities, I have been posting drawn stories on social media networks. This serves as a pacer for my current practice. I am submitting a working sketch for Moll the Chatelaine of the H.I.C. Caboodle (from the second story in the series Lily the Cowboy). I have been moving around a lot lately, as always really, so many bridges & concrete & often it’s all shadows I have known already, so churned through and out I can’t even tell. Old trodden maps harrowing when they involuntarily copy/paste/print old passages, I can’t walk down Lewes Road again, no more mirrors, I want some space. And I’ve been hiding in the wrinkles of frowning cities transporting underground trying to catch some breath, freezing for a moment with ink stains & breathlessly wrenching lines along lines. My body is always with me & so we run away, callow, & here I am transfiguring molding breaking it, resize (always forget to hold down the shift-key): body buildings of melting concrete. 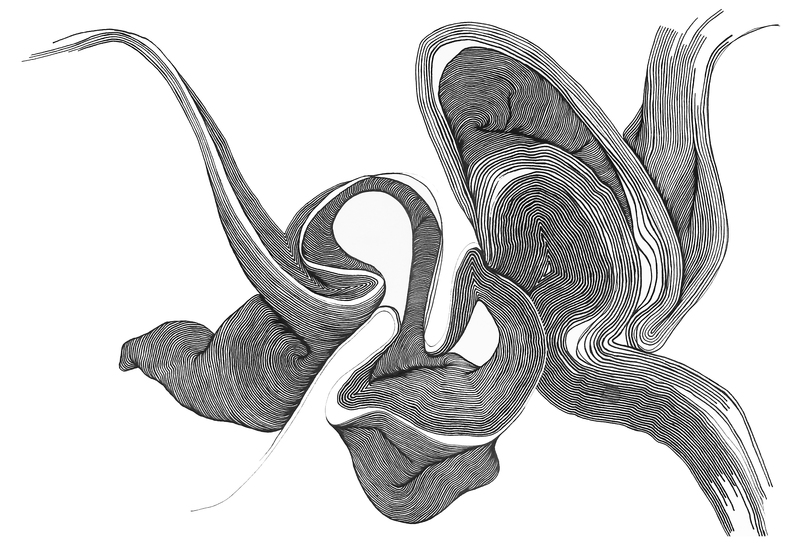 This drawing is made via a generative drawing program written using “Processing” an open source programming language. My work is about navigating the city through images and the use of grids, collage, embroidery and maps. My images go through a series of methodical processes and often tracing, enlarging and copying and pasting is involved. I use traditional methods such as printmaking and sewing alongside newer digital manipulation. This particular piece started as 3 individual drawings made in the Edgware Road area on the same day. I traced the outlines of each image on acetate and then placed the images on top of each other to produce something more abstract but which also represents the energy of the location. Currently A4 size I intend to use these working drawings to make a larger scale drawing. 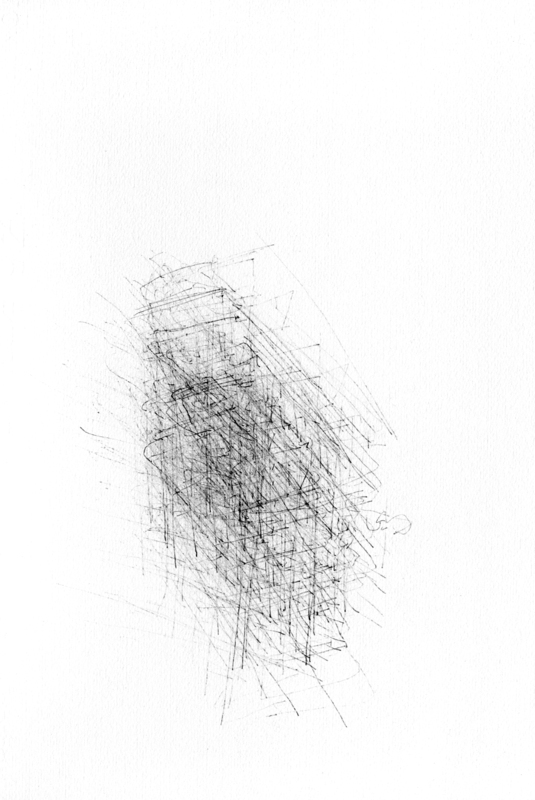 My work is a continuing enquiry into the mechanics and processes of drawing from direct observation. I’m concerned with creating a dynamic, plastic and convincing sense of space and communicating the essence of the subject using a pared down language of marks. 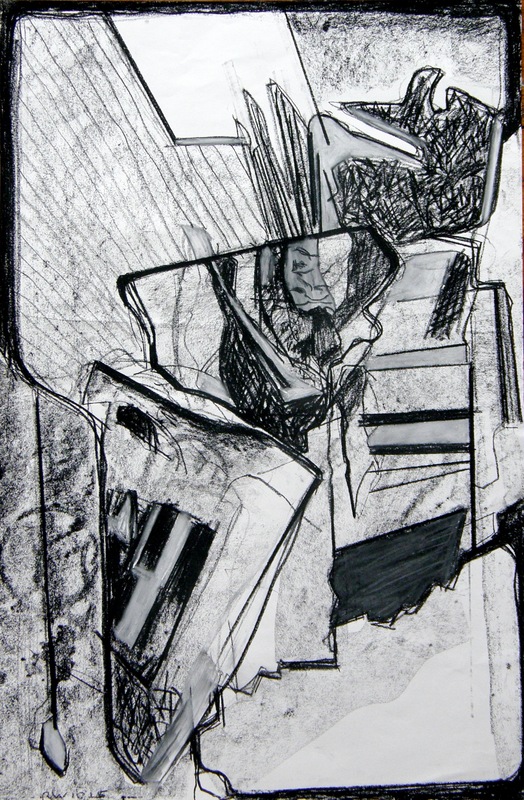 Blind drawing techniques are used to create varying degrees of abstraction, and the drawings are built up in layers to dismantle, reassemble and question the nature of the subject’s structural form. Each line is expressed several times, giving it several possibilities for positioning in space. This creates a kind of vibration or flickering between the lines as the eye tries to create structure, reasonably faithfully reproducing the experience of intensive observation used to create the drawings, involving the spectator in the observation process. This drawing is influenced by Descartes writing on the mind and body. He believed that the two were made of entirely different substances, philosophically. The body is divisible however the mind is not according to Descartes. This drawing emphasizes the divisibility of the body (an extended thing) and in particular the hand.